Congratulations to second year Master of Science student Devon Carroll, who recently received the 2018 Penn State Agricultural Sciences International Travel Tag Along Fund award. This award helped fund an international trip to Helsinki, Finland where Devon presented her thesis research. 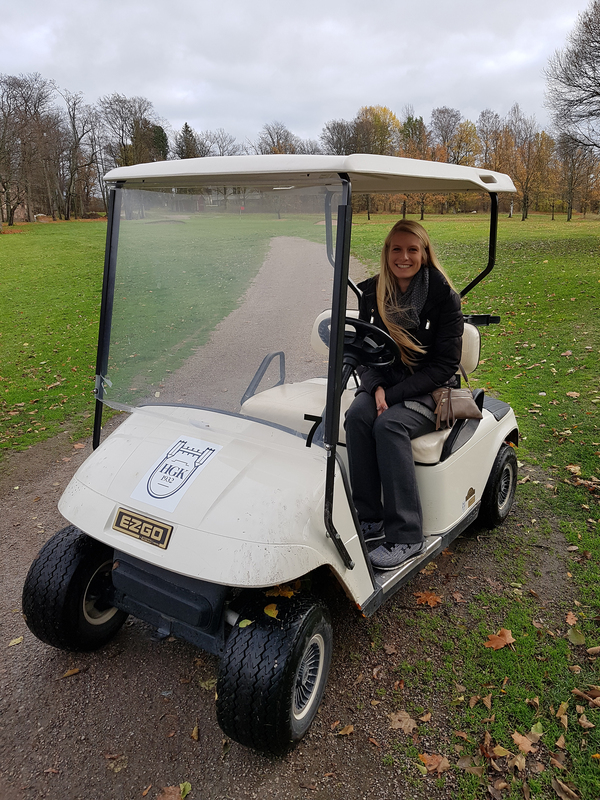 The Finnish Greenkeepers Association hosted Devon and her advisor, Dr. John Kaminski, as speakers. Devon presented her thesis research related to winterkill causes, prevention and recovery to nearly one-hundred greenkeepers in a three-hour seminar. Devon also explored Helsinki and experienced Finnish culture, visiting the Helsinki golf club and attending an ice hockey game.